Lumen tries to explore a new paradigm for interactivity and immersion. Imagine using Lumen inside a museum, an otherwise static/one sided experiences turns into an interactive experience that immerses you into the story. A visitor uses this enchanted flashlight to bring the exhibits to life, and they get to hear the story directly from the exhibit. 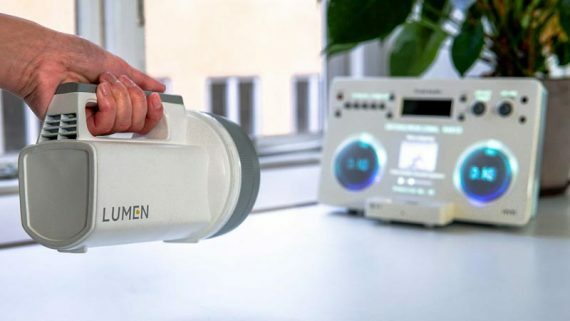 Lumen has the capability to create experiences that communicate information through stories to the user and also to their friends or partners in a socially meaningful way. In regard to this, a museum in Florence (Museo Marino Marini) has also extended an invitation to test Lumen within their museum and have their visitors immersed in this multidimensional storytelling. Moreover, it can also live inside escape rooms, it can create so many interesting layers of interactivity around physical objects by superimposing a layer of digital fiction on top of it. Ordinary boxes can be turned into safes, or door knobs open into secret portals. Thereby turning the otherwise mundane environment into a new playground for storytelling.